Mary has 3 decades of real estate experience—most of that time selling coastal resort properties. She brings knowledge, negotiating skills, honesty and a basic willingness to do what it takes to every purchase or sale. 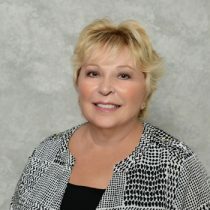 Mary is a 2nd generation Nettles Islander, and along with husband Marshall, will work hard and bring cheerfulness, energy and expertise to each real estate purchase or sale. She enjoys working with people of all ages and backgrounds and looks forward to helping you find the perfect beach home or great investment or selling your property at the best possible price in the shortest amount of time.